WASHINGTON, Jul 5 2012 (IPS) - After a controversial ruling Friday in favour of Union Carbide, NGOs and activists associated with the 1984 Bhopal, India industrial disaster are appealing the decision in the U.S. second circuit court of appeals. Judge John Keenan’s dismissal of a lawsuit against Dow Chemical Company’s Union Carbide angered Indian activists the world over. Dow bought Union Carbide in 2001. Keenan ruled that neither Union Carbide nor its former chairman, Warren Anderson, were liable for environmental remediation in the Bhopal gas leak that killed more than 22,000 people, and polluted soil and water sources for years to come. The plaintiffs in the New York case claimed negligence and demanded that compensatory damages be paid. In addition they asked for punitive measures in regards to Anderson, and medical monitoring for those affected by the disaster. The plaintiffs claimed that they sustained injuries from exposure to polluted water and soil, a byproduct of the toxic materials produced by Union Carbide India Ltd.
Responsibility for the cleanup of waste and toxic materials was taken up by Union Carbide, until it sold its stake in the Indian unit in 1994. In 1998, the State of Madhya Pradesh took over the responsibility of disposing of the waste – which to date has not been cleaned up in its entirety. The issue of soil and water contamination still persists. Union Carbide estimated that 3,800 people lost their lives due to the industrial disaster. Amnesty International figures are a lot higher. On Dec. 3, 1984 more than half a million people were exposed to the gas, methyl isocyanate and other hazardous chemicals. Between 7,000 and 10,000 people died immediately, and a further 15,000 died over the next 20 years. More than 100,000 people suffer from serious health problems due to the leak, a fact that Amnesty International is swift to point out in lieu of Dow Chemical Company’s landing of a lucrative contract for the 2012 London Olympics. Dow is to provide a plastic wrapping that will encircle the London Olympic Stadium, a contract that Amnesty believes is an insult to the people of Bhopal. A 1989 Indian Supreme Court ruling approved a settlement of 470 million dollars by Indian Union Carbide to the victims of the Bhopal tragedy – an amount that residents of Bhopal believe to be paltry. Abdul Jabbar, an activist with the Bhopal Gas-Affected Women’s Organization, claims that the amount did not take into account the degradation of the city’s soil, gas and water supply. Mismanagement of funds and poor distribution amongst the residents put some estimates as low as 500 dollars per victim. The ruling by Keenan disheartened activists who believed that a U.S. court would provide a higher settlement for those affected. The case has been struck down multiple times in U.S. courts. “Keenan’s ruling continues a longstanding pattern. He should have recused himself from this case long ago. By making rulings that are bound to be reversed over and over, he’s denying justice to the people of Bhopal by delaying it,” Aquene Freechild of Public Citizen, and former coordinator of the International Campaign for Justice in Bhopal-US Campaign, told IPS. Though the verdict has disappointed activists, the legal team is not disheartened by the previous dismissals. “If you look at the history of the case, you will note that the case has been reinstated on appeal as many times as it has been dismissed by the lower court. So that fact tells you something about our prospects on appeal and about the attitude of the US courts,” Rajan Sharma, one of the lawyers on the case, told IPS. 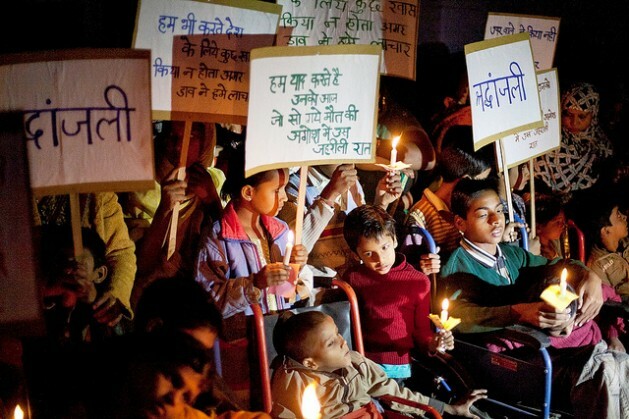 Though activists have been rallying for justice for those affected by the Bhopal disaster, the case has had more than its fair share of obstacles. The current Chief Minister of Madhya Pradesh, Shivraj Singh Chouhan , had promised his full commitment to the case being heard by Keenan and stated that he would get the Center to intervene on behalf of Bhopal. Activists claim that no such support has come through. Given the difficulty the Bhopal plaintiffs are having in U.S. courts, an appeal doesn’t automatically signal a new verdict.